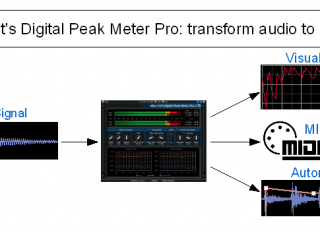 "A unique audio meter and side chaining tool"
The DP Meter Pro Tutorials explain how to use these unique capabilities in your favorite host. Possibilities are endless, from voice over and ducking to side chain compression, multiple tracks monitoring or dynamic stereo enhancement. It is also possible to control external MIDI hardware (such a synths, MIDI effects), video effects or lighting systems with an audio signal. 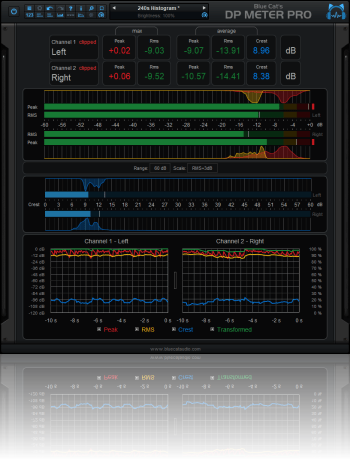 Typical applications: Audio levels monitoring, crest factor measurement, dynamic range display, ducking, advanced side chaining techniques, signal-based envelope generation. Multichannel peak, RMS & crest factor meter. 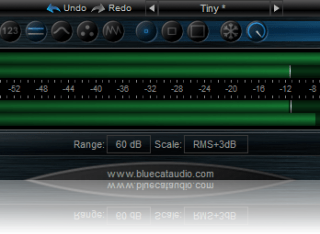 True dynamic range measurement with levels histograms. Modular user interface to fit into your workflow, with multiple screen sizes. Total control over the metering characteristics, including attack/release shape. Record measurements (peak, RMS, crest factor, clip etc.) as automation curves. Control in real time any MIDI-compatible plug-in or external MIDI device with the generated envelopes thanks to the plugin's MIDI CC output. See the Tutorials section for more examples. 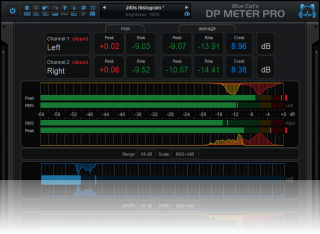 This Peak Meter Pro is probably the most exciting plugin I have tried for a long, long time: this plugin is the supreme sidechaining utility, bar none. Unlike others [...], this one allows you to use the amplitude of the sound passing through it to automate anything that can be controlled with MIDI CCs. 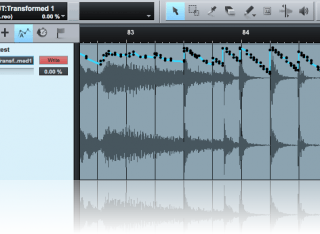 [...]This plugin is the most configurable, easy to set up sidechaining/automation plugin of all I have seen. Compared to others, it is essentially several plugs built into one, with the bonus of a very handsome, easy GUI, as well as very well-written tutorials on its usage at their website. It's extremely well-designed and clearly made by a professional outfit. - B. Collins, speech recording professional. The possibilities of Peak Meter are endless, and incredibly useful. It could turn into one of my most used plugins I think...thanks! - Alex Bowers, quoted from this forum thread. Fixed user interface display issues when first opened in Ableton Live 9 (Mac). Fixed yellow zone that disappeared in some cases. Changed default preset so that the plug-in fits into small laptop screens when opened. Mac-Audio Unit: Fixed random crashes at startup in some host applications. Instant and average crest factor measurement. Peak, RMS and crest factor histograms. Surround support (up to 8 channels). Fully customizable meters characteristics (range, headroom, color ranges). 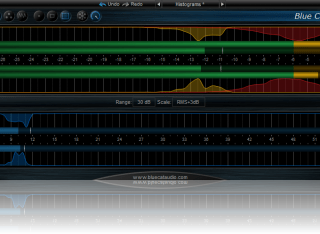 Control the brightness of meters and graphs. 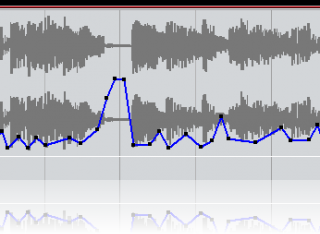 Audio Suite support for the AAX version for offline levels measurements in Pro Tools. Increased levels range (120 dB). Increased maximum levels value range for overshoot measurement (up to +10dB). Peak average precision has been improved. Use hold values and crest factor for transformed envelope generation. Fixed MIDI CC i/o issues with 64-bit VST. 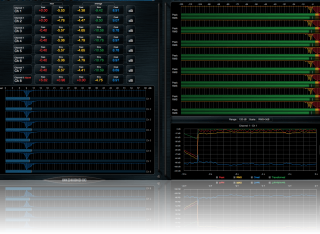 Increased the default output data rate (from 20 to 50 Hz) for smoother side chaining and increased meters precision. All meters can now be reset with a single button. Envelope graphs can now be zoomed. Added custom K-10 scale support. User interface enhancements: new look and feel and improved readability. 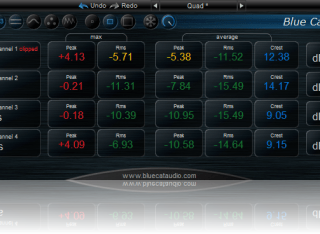 The average RMS value now corresponds to the RMS level of the entire song played thru the plugin. (Bug fix): keyboard shortcuts are no longer forwarded to host application when entering values in edit boxes. Bob Katz's K-System scales support (K-12 / K-14 / K-20). You can now blend RMS and Peak envelopes for the tranformed output. New mid-side mode: you can now easily switch from Left-Right to Mid-Side stereo mode for instant mono compatibility check. 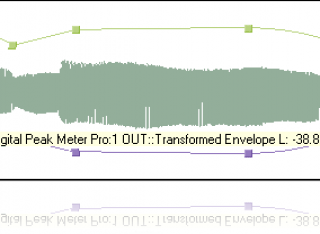 The output envelope can now be a combination of the peak and RMS envelopes. Main MIDI settings are now available from the main panel. Import/Export presets in a host independent format and share them between the directX and VST versions. Main MIDI settings are now available from the plugin user interface. Default values for MIDI controllers have been changed to be more convenient. 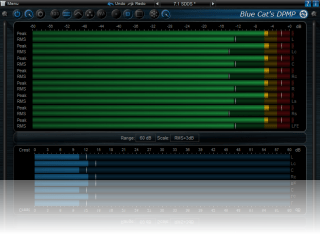 Blue Cat's Skinning Language 1.4.2 support. Warning: this new version has so many new features that it is installed as a new plug-in. If you have a previous version installed and do not want to keep it, just uninstall it. VST version bug-fix: some host applications did not see the MIDI output of the plug-in. The plug-in is now 100% real time thanks to the MIDI output capability: generated envelopes can be used to control any MIDI device or plug-in. 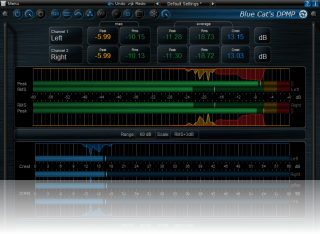 Skinnable User Interface with Blue Cat's Skinning language V1.2.1 support. The plug-in now also records clip information. The parameters have been simplified. Version info now shown in about box (click on logo). (Bug fix): host may crash when stopping playback and the "Off" button of the peak meter is pressed. decay time can be set up to 1000 ms.